Empty and rinse items – left over foods or liquids can contaminate other recyclables. You can leave labels on – these are removed in the recycling process. 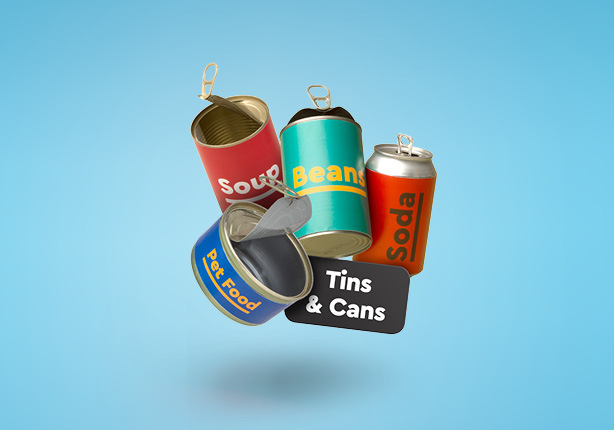 Metal lids and caps can also be placed in the household recycling bin.